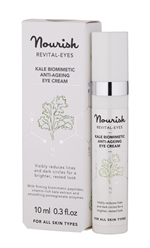 This gorgeous revital eyes cream contains boosting ingredients to keep skin firm and reduce the appearance of lines and wrinkles. The vitamin rich formula contains kale extract, macqui berry and pomegranate enzymes help counter puffiness and dark circles. Directions for use: Dispense a small drop and gently pat around the eye area. For external use only. 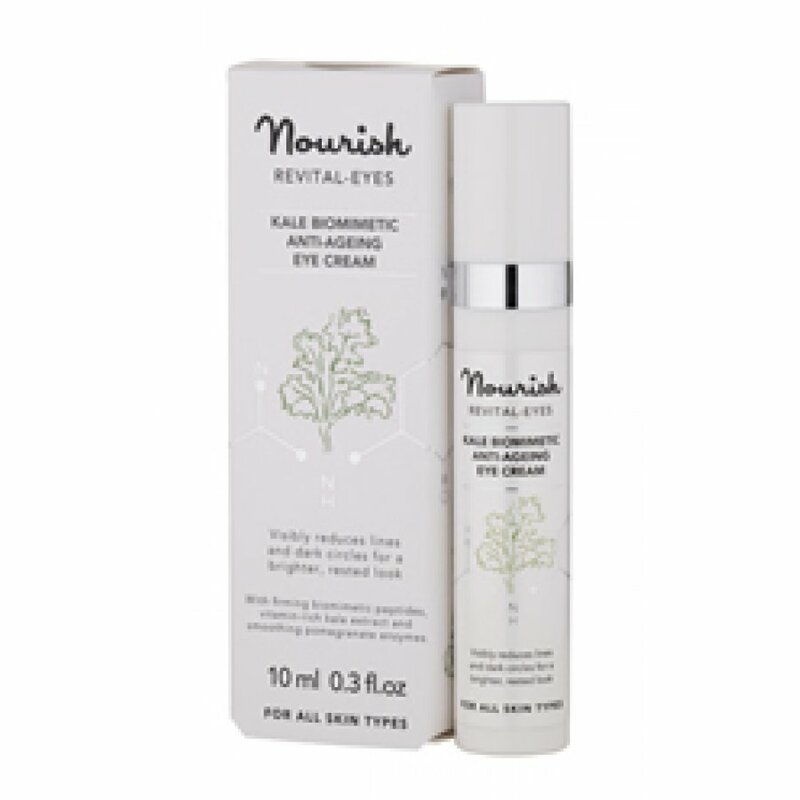 There are currently no questions to display about Nourish London Revital Eyes Eye Cream - 10ml. The Nourish range is created using advanced bio-actives, organic and natural ingredients to support the skin nature gave you and nurture it through the ever changing seasons and environmental challenges. The range caters for face and body with 4 key ranges, Protect, Balance, Relax and Radiance, so there’s something for every skin type and need. Created by Dr Pauline Hili, previously Technical Director at Neal’s Yard Remedies for 20 years and one of the UK’s top organic skincare experts. Nourish is a culmination of all her knowledge of the skin functions and expertise in developing high-tech natural and organic formulations that deliver visible results and nurture skin in the most natural way possible. Nourish is free from alcohol and avoids use of unfriendly chemicals such as synthetic colours, TEA, DEA, parabens, phenoxyetol, sulphates, mineral oils, PEGS and silicones. All products in the Nourish range are vegan certified.